AKIPRESS.COM - A language professor has given a Hawaiian name — Powehi — to the black hole depicted in an image produced in a landmark experiment, Global News reported. The world’s first image of a black hole revealed Wednesday was created using data from eight radio telescopes around the world. Powehi means “the adorned fathomless dark creation” or “embellished dark source of unending creation” and comes from the Kumulipo, an 18th century Hawaiian creation chant. Po is a profound dark source of unending creation, while wehi, honored with embellishments, is one of the chant’s descriptions of po, the newspaper reported. 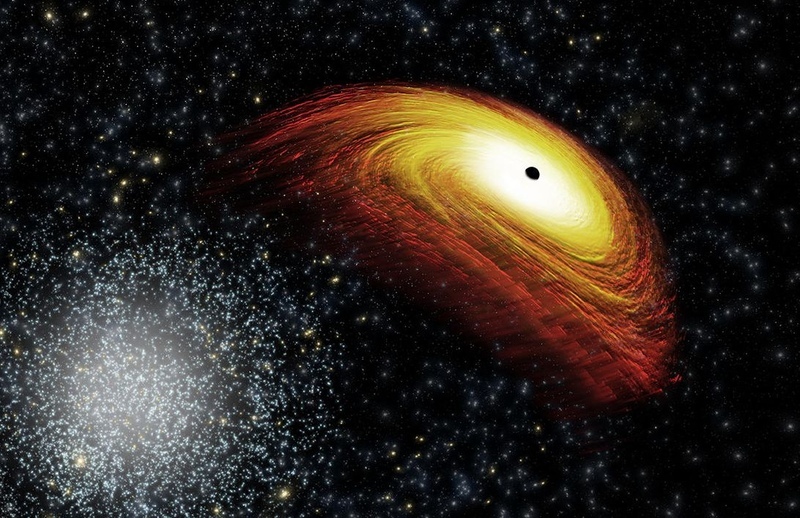 “To have the privilege of giving a Hawaiian name to the very first scientific confirmation of a black hole is very meaningful to me and my Hawaiian lineage that comes from po,” Kimura said in a news release.